How do I setup my own Google AdWords or PPC campaign? Bajillions of realtors are throwing money away to have “professionals” manage their Google AdWords campaigns. The truth: most of these agents end up frustrated by the number of unqualified leads they are getting, the amount of money they’re spending, and ultimately being in the dark as to how these leads are (or are not) being generated. 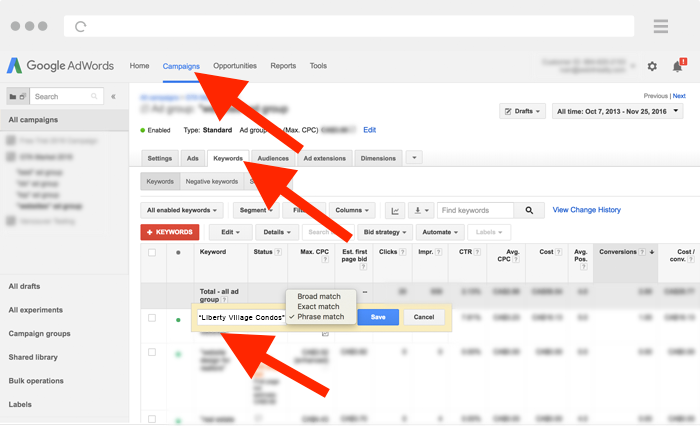 Newsflash: AdWords is not very complicated; you don’t have to be ‘techy’ to set up a campaign! Here is a simple step-by-step guide for the non-techy realtor that is tired of being in the dark with bogus leads. 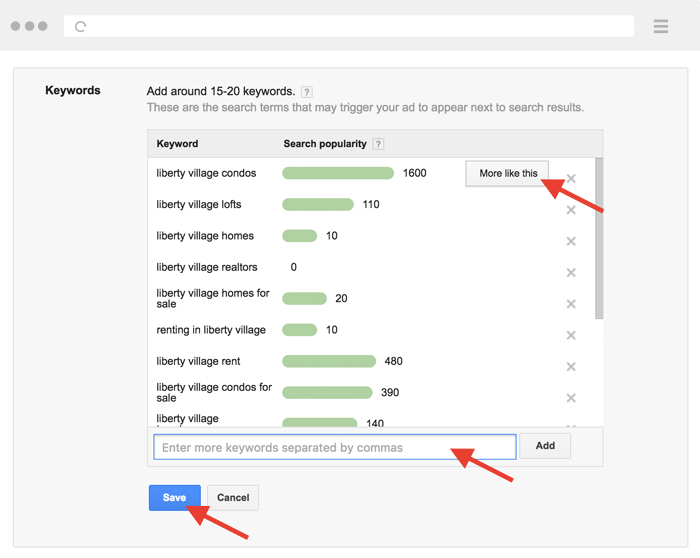 Take control of your business by taking 30 minutes out of your busy day to setup your AdWords for Realtors by following the straight forward instructions below. Not completely sure how AdWords (PPC) works? Watch this easy-to-understand 3 minute video to help you understand. Step 1: Go to https://www.google.ca/adwords/ and click “Start Now” and enter your email address, website URL, and click “Continue”. Step 2: Enter your daily budget. TIP?– Start with something small (something you’re comfortable with) in the beginning and adjust the budget after a few weeks of monitoring the results. Step 3: Click “Advanced search”. Step 4: Type and select the city(s) you want to target and click “Radius targeting” and select how many kilometers you’d like the radius to be. TIP?– Select a radius you’re comfortable travelling within. For example: if you capture a lead from Buffalo interested in buying in Liberty Village – are you willing/do you want to accommodate? 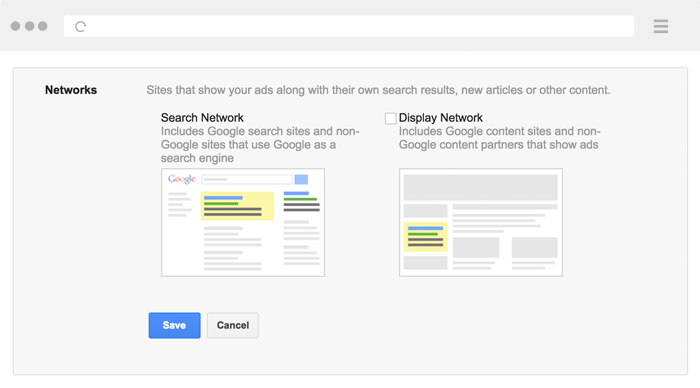 Step 5: Select whether you want to just use Google’s Search Network or if you’d like to use the “Display Network” which includes Google content sites. 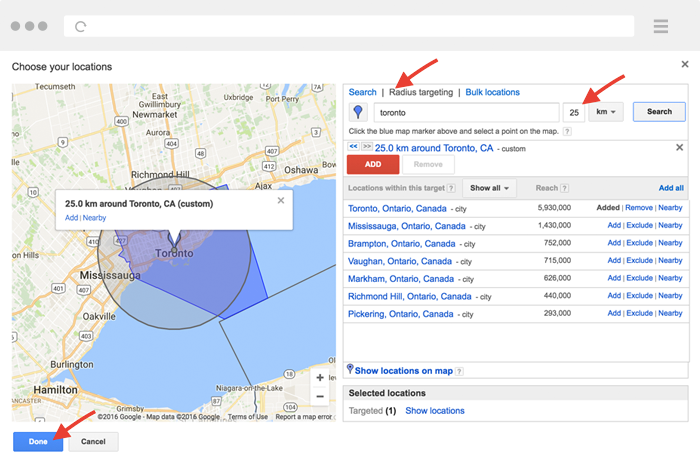 TIP?– Unless you have a substantial budget, its best to select “Search Network” for now. The Search Network ads will appear in the search results on Google, AOL and other search partners when someone searches for the triggered keywords. The Display Network includes thousands of websites which use AdSense (Google’s Paid Ad Platform). Step 6: Select the keywords you’d like to target. TIP(S)?– Make sure that the keywords you select match the landing page on your website. 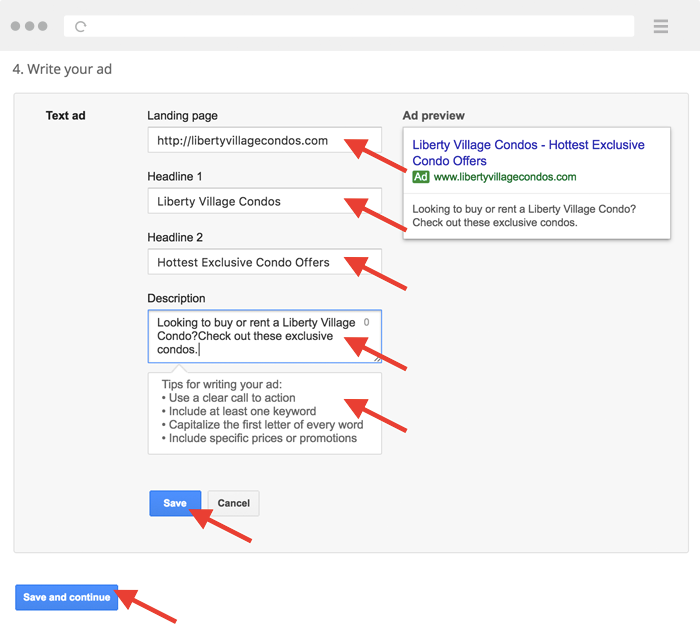 If your keyword(s) are about “liberty village condos”, your landing page MUST have Liberty Village Condo information on it, otherwise, Google will not display your ads, or you’ll be wasting money since you will fail to get conversions. You should select SPECIFIC area driven keywords and match them with relevant landing pages. Don’t go crazy here; start with fewer keywords (less than 20) and add new keywords as you go along. Step 7: Click “I’ll set my bids manually”. TIP(S)?– One of the fastest ways to drain your budget is to let AdWords automatically set your bids. Be sure to select “I’ll set my bids manually” and depending on how competitive the keywords are select your budget. You can see how competitive they are using Google’s Keyword Planner or set it to approximately $3 and readjust each keyword later. Step 8: Enter your Landing page URL, headlines, and description. TIP(S)?– Very important: your main keyword, landing page content, headline, and description should all be consistent (like in the example below). Well done! You’re almost finished. After you enter your address and billing information, there are a FEW MORE CRUCIAL STEPS to complete. 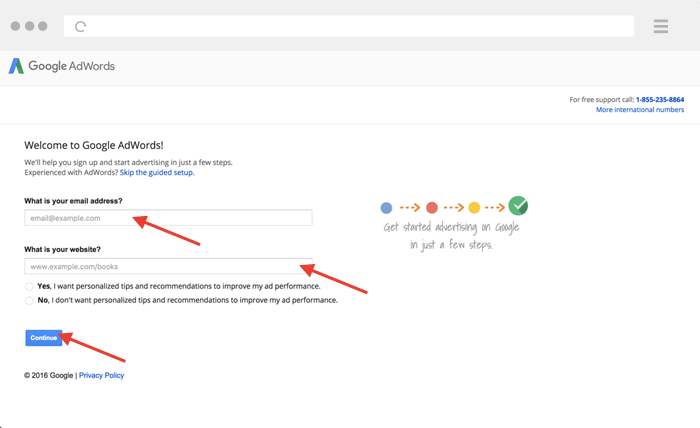 Step 9: Go to “Campaigns,” click the “Keywords” tab and double-click on each keyword to determine if you want the keyword to be “Broad match,” Exact match,” or “Phrase match”. TIP(S)?– Don’t move on from here until you understand the terms below – this is a very important step! Broad match means that if someone searches for anything broad to do with your keyword, your ad may appear. For example: if your keyword is “liberty village condos” and someone types in “liberty village ramen noodle” there is a chance your ad may show, resulting in money wasted. Broad match will ensure that your ad will have lots of impressions and clicks, however, we don’t recommend this option because its a sure-fire way to drain your budget. Exact match means that your ad can only show if someone types the exact keyword you have. For example: if you keyword is “liberty village condos,” your add will only display when someone searches for “liberty village condos”. Exact match works really well for popular keywords that get lots of traffic and campaigns with a smaller budget. It’s not the most aggressive strategy, but a good option nonetheless. Phrase match means that if someone types in a phrase that contains your keywords, your ad may appear. For example: if your keyword is “liberty village condos” and someone types is “liberty village condos for rent” your ad may display. We recommend starting with phrase match, especially if you’re on a moderate budget or don’t have much experience here. Step 10: Readjust the bids for all your keywords. TIP(S)?– Remember in STEP 7 when you added your default bid? Well, you basically set a default bid for all of your keywords, however, all keywords are different and require lower or higher bids. Take a look at the image below. 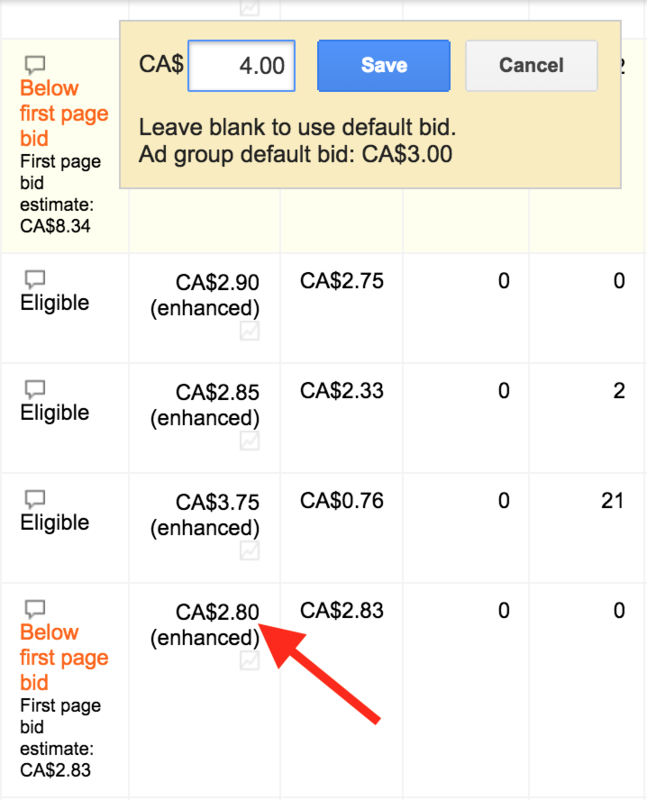 Simply double click your bid value to lower or increase the budget based on what the “Estimated First Page Bid” (to the right) is. These numbers tend to fluctuate, so it’s wise to revisit this every so often to readjust your bids accordingly. That’s it; you’ve done it! Following the simple instructions and a few pro-tips, you’ve set up your first Google AdWords campaign. Setting up AdWords is not as time consuming as you may have initially thought, but we’re sure you still may have a few questions. If that’s the case, leave them below and we’d love to lend a helping hand.